Forty Four students left a wet and cold Ireland bound for Berlin. Despite the early start, students were in good spirits and eager to see the beautiful capital city of Germany. First stop was the Olympia Stadion, home to Hertha Berlin and host venue of the 1936 Olympic Games. DGS students enjoyed a tour of the stadium where they learned about the history and present use of the stadium. In the afternoon students visited Potsdamer Platz where they spotted some parts of the former wall along with the Sony Centre. Potsdamer Platz is at the centre of the Berlinale, the Berlin film festival and students even found time to try the famous Currywurst. 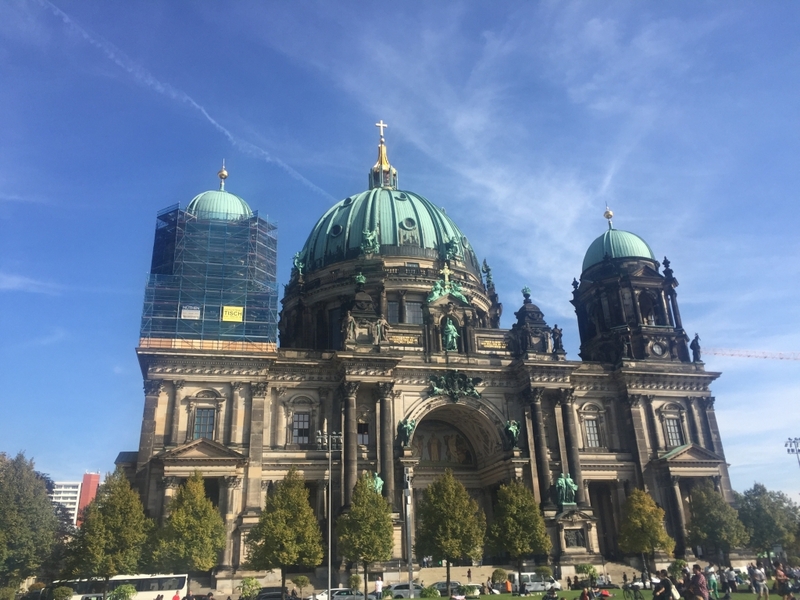 On day two students enjoyed a tour of the city where they visited the Brandenburg Gate, the Reichstag, Siegesäule and the East Side Gallery, a highlight for art students. 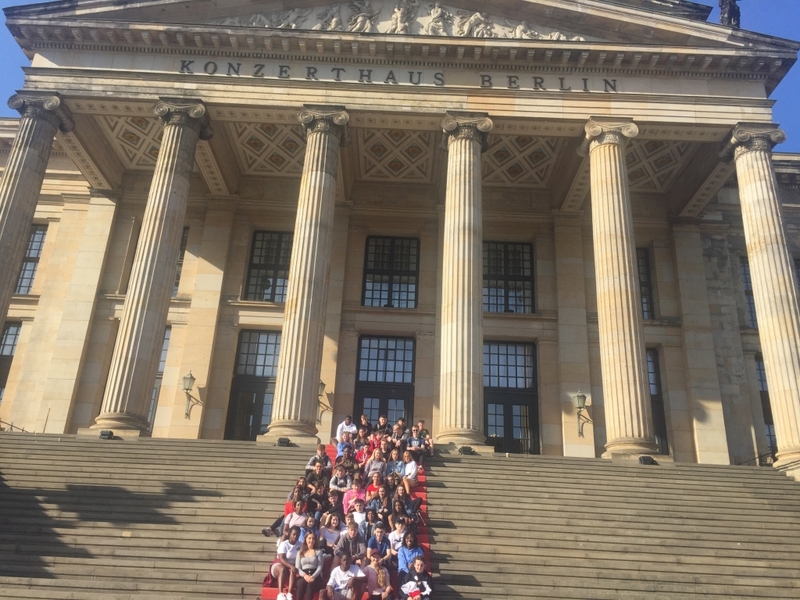 In the afternoon students enjoyed the Deutsches Historisches Musuem including Cranach’s portrait of Martin Luther and an excellent World War 1 and World War 2 collection. 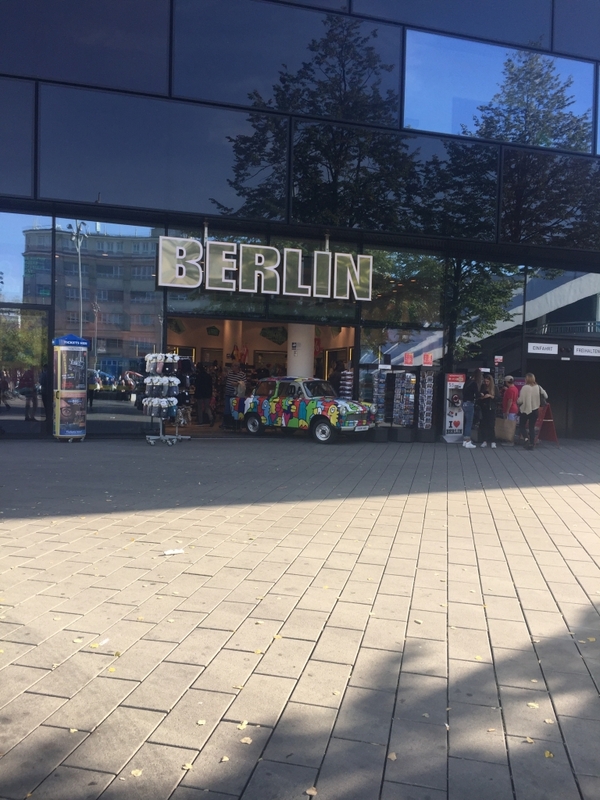 Students enjoyed some shopping afterwards in Alexanderplatz where some students had the opportunity to practise their “Deutsch” asking directions and ordering food. That evening after dinner the students enjoyed an evening of bowling. The next day, students visited Checkpoint Charlie where they were given a tour by someone who actually escaped from East Berlin to West Germany. Students were captivated by Klaus’ daring escape in an Isetta “bubble car”. For an insight into daily life in the former East Germany, students visited the interactive DDR Museum where they were able to see how people lived, furnished their homes and what they ate during the 1949-1990 communist period. Students also learned about waiting times for simple things like a roll of wallpaper and how there was often just one design available to everyone. In the afternoon students escaped the cool, dull autumn day and visited Tropical Islands, an indoor water park. An enjoyable afternoon was spent in the Tropical Sea featuring Germany’s highest water slide. There was also a rainforest with exotic flora and fauna. All of this is housed in a former airship hangar which is the biggest free-standing hall in the world. The last day included a visit to the famous Berliner Tiergarten or zoo – only a short walk from the hotel. Students saw some new residents including a baby rhino called Karl and four baby Sumatran tigers. After the Tiergarten, students boarded the bus to Potsdam in Brandenburg. Potsdam was a residence of the Prussian kings and the German Kaiser until 1918. Students enjoyed walking around the cobbled streets and had a leisurely lunch before boarding the bus for Schönefeld airport. 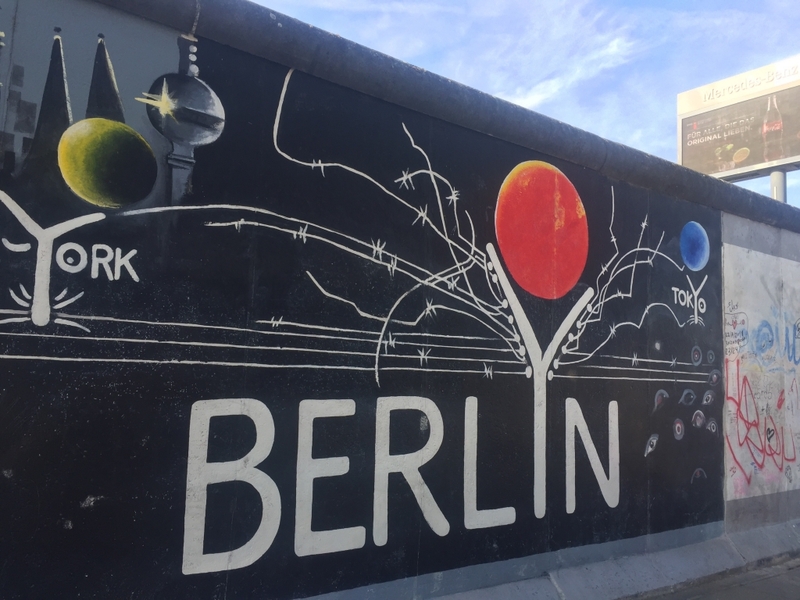 Students were left with very fond memories of Berlin, leaving the city with a greater understanding of German life, past and present.